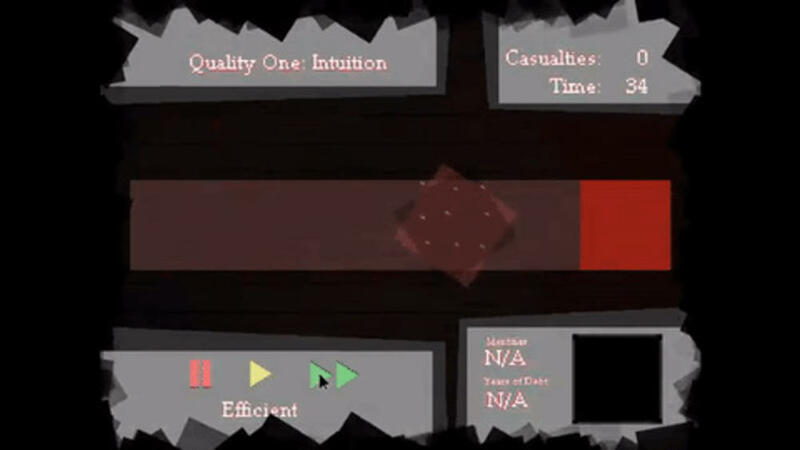 MOLOCH (Zero) is a narrative game that puts the player through a shift manager job interview. The player must control the flow and speed of workers as they progress down hallways. MOLOCH (Zero) has the player question and balance their own personal in-game ambitions against the health and safety of their workers. Fast is efficient, yet it risks the lives of the workers. How badly do you want this job? In our current software saturated culture, it's easy to forget that all systems are created with a bias. Huge companies like Uber gamify their applications to make contractors work longer for little reward, yet the juiciness and apparent ease of these systems are so strong they retain their workforce. MOLOCH (Zero) is a metafictional game: you are the applicant. When the game begins, you are faced with software designed to test your complacency.